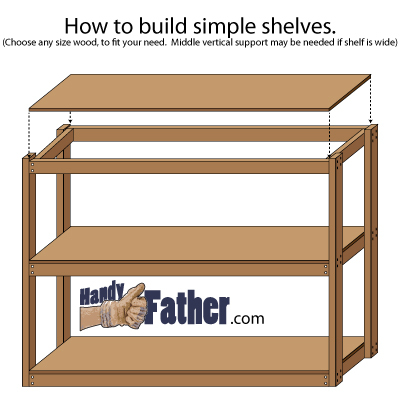 Build some simple shelves for the basement or garage. Storage is a vital part of keeping a clean house. It seems like everyone has more stuff than space in which to store that stuff.